Hofstra Club Ice Hockey traveled to New Haven, Connecticut on Saturday, December 3rd to take on the Yale Bulldogs. Despite falling into an early 4-0 deficit in the first period, the Pride never relented, fighting back with goals from Austin Natale, Nick Lewis, Giuseppe Chiaraville, and Darren Schwartz. However, it would not be enough, as the Yale offensive attack was too much for the Hofstra, who dropped the contest by a score of 12-5. 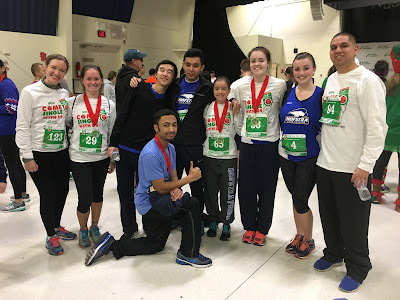 Hofstra Club Running competed in the Jingle Bell 5K for the Arthritis Foundation hosted on Hofstra’s campus on Saturday, December 3rd. As a team, the club raised $520 for the Arthritis Foundation. 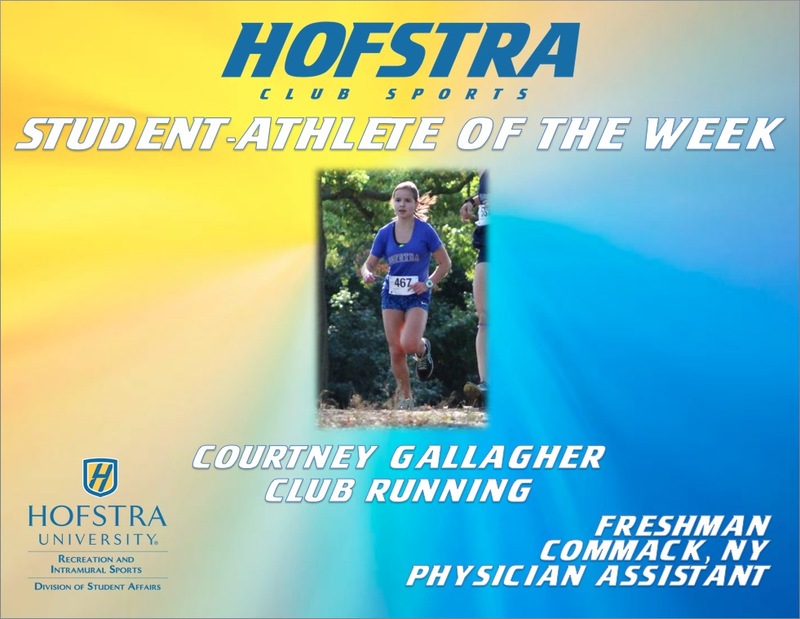 Individually, Colleen Todd raised $125 and Courtney Gallagher raised $80 for the foundation. 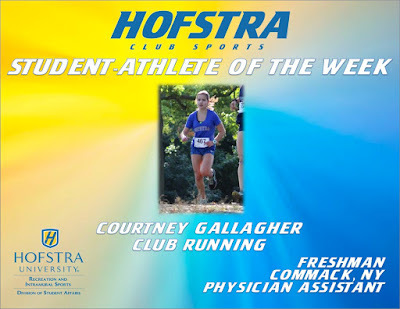 On the road, Courtney Gallagher placed 1st overall for females, with a time of 22:20.66. Brittany Davis won her age group (10-19) with a time of 22:50.85, followed by Colleen Todd who came in second with a time of 28:43.15. Mitchel Holson came in second in the men’s 10-19 age group with a time of 22:50.98. Hofstra Club Quidditch hosted their annual Festivus Fantasy tournament on Saturday, December 3rd on the Hofstra Intramural Fields. 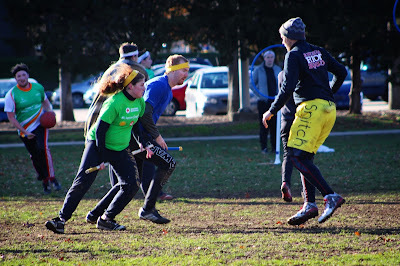 There were 85 athletes from various schools that were drafted and competed on fantasy quidditch teams. Ultimately, the Green team emerged victorious to win the Festivus Fantasy tournament. Competing in the Jingle Bell 5K, Gallagher finished first overall for females, running a 5K time of 22:20.66.